We approach business owners holistically and as business owners ourselves, taking the time to ask questions and “get under the hood” of their businesses. Using seasoned methods of gathering information, we “quarterback” with you, listening intently for as long as it takes to fully understand the issues. We realize that there are oftentimes competing priorities among multiple business owners, which may require individual meetings to uncover conflicting goals and objectives, followed by combined meetings to establish common ground. Creating visuals and professional presentations and collaborating with other professional advisors, as needed, leads us ultimately toward implementing solutions that take the business owner closer to intended and expressed goals. We concentrate in these six(6) areas of core financial needs of the business owner, helping business owners prioritize their concerns. This enables us to home in on what is most important first, while circling back and not abandoning any relevant topic. Our experience shows that when we are methodical questioners and fact gatherers, a variety of solutions are available to meet a multitude of needs for both business owners and key employees. Better facilitate a transfer to family members, key employees, other owners or third parties. Creating and growing a business to success is the vision that most business owners regularly put at the forefront of their minds. However, in their obsessive pursuit to succeed, they sometimes fail to spend the necessary time to plan for their end goal: a smooth transition of their successful business. Cross-Purchase – An agreement by each of the owners is made, which obligates the remaining owner(s) to purchase a departing owner’s interest in the business. Since the funding mechanism of life insurance requires that each owner purchase a policy on the other owner(s), this set-up is typically used in two-owner companies or partnerships. Entity Purchase – This agreement is between the actual business and each owner, obligating the business to purchase an owner’s interest in the business upon certain triggering events. The owner(s) (or, their estates), in turn, agree to sell the departing owner’s interest to the business. In this case, only one policy per owner is required, since the business will own and control each policy. Wait-And-See – In this scenario, the departing owner or his estate are obligated to sell. However, it is unknown until the triggering event whether the business or the remaining owner(s) will be the purchaser of the departing owner’s interest. The business funds the obligation the same as in the “Entity Purchase” method, through the purchase and ownership of an insurance policy on each owner, however, the flexibility of selecting the most favorable structure for the ultimate purchase of the departing owner’s interest remains. Installment Sales – This is a straight forward sales transaction, wherein the seller receives a series of payments after the sale occurs. The amount of the payments is calculated based on the value of the transferred business and an acceptable interest rate at the time of sale. This method is used most frequently when the seller wishes to spread any gain on the sale over time, and/or, when the buyer is not able to purchase outright. Exposure exists on the lives of both the seller and purchaser, and an insurance policy on each is used to make either party whole in the event of death prior to the expiration of the agreement. Employee Stock Ownership Plans (ESOP’s) – An ESOP is a tax-qualified retirement plan which invests primarily in the stock of the sponsoring employer. These plans are meant to encourage broader employee ownership in the private corporate sector. ESOP’s are the only qualified plan that can use the company’s credit to finance the purchase of company stock from a shareholder of the company. As such, through the years, several tax advantages were granted companies and sellers who agree to sell their stock to an ESOP, whether partially or in full. To remain compliant, an ESOP sponsor must provide “adequate security” for the repurchase obligation inherent in such plans. That is, since the ESOP immediately benefits the “seller to the ESOP” by creating a market for private company stock, the ESOP plan sponsor must implement a funding program to pay for the stock it must eventually repurchase. Common strategies to fund include the “pay-as-you-go method”, the “sinking fund method”, or the “corporate-owned life insurance (COLI) method”. The COLI funding mechanism concentrates on a tax-deferred build-up of cash value to use for repurchasing of stock, but unique to other methods, provides a death benefit at some point in the future, which adds to the inflow of funds into the company, helping offset past and future costs of the ESOP plan. Gifting Strategies – When the transfer of a business is between family members, utilizing estate and gift tax strategies available to them for any other asset transfer may come into play. The current lifetime gift exemption and annual gift exclusions may be utilized, if available to the seller of the business. However, as with any other asset transfer, minimizing the gifted amount at transfer is often paramount, and if so, gifting techniques such as “private split-dollar arrangements”, “interest-only installment sales”, or “premium financing”, used in conjunction with an Irrevocable Life Insurance Trust (ILIT) may take a major role during implementation. Grantor-Retained Annuity Trusts (GRAT’s) – A GRAT is created when the business interest is transferred into an irrevocable trust and the seller retains the right to an annuity interest for a fixed number of years. The payment comes from interest earned on the trust assets, or a combination of interest earned and principal, assuring the seller (Grantor) a steady and consistent payment. The gift-tax value is computed by subtracting the value of the stream of payments from the fair market value of the transferred asset, which substantially lowers or even may zero out the gift-tax value at transfer. Limitations in qualified plans and Social Security has created a “retirement gap”, whereby high-earners are likely to accumulate only 30% of their current income at retirement, if left to these programs alone. This is referred to as the “retirement gap”. Business owners and top executives realize that the retirement income they will receive will be taxable and are interested in options that allow greater tax diversification: to time income taxes due, and/or, recharacterize income to minimize the amount of income subject to tax at retirement. Executive Benefit Plans – Often referred to as “executive bonus” arrangements, generally the employer wishes to receive an immediate business tax deduction for contributions into the plan, with the employee reporting the contribution into her plan in same year as additional bonus income. However, sometimes the employer will provide an additional bonus to pay this tax. The motivation to the employee is tax deferral of any gains, as well as distributions without income taxation in most circumstances. These plans are often funded by a diverse choice of cash accumulation permanent life insurance. Non-Qualified Deferred Compensation Plans – Design approaches can focus on either a defined contribution or defined benefit, with the plan offering pre-tax deferral of participant compensation or employer contributions, depending on plan design. With few exceptions, these plans must comply with the rules of IRC Section 409A which outline timing restrictions of deferrals and distributions. The variety of funding options, from unfinanced, to use of taxable investments, to institutional corporate-owned life insurance (COLI), provide an enormous amount of flexibility to this platform. Other – The flexibility of non-qualified planning allows special design considerations for combination type goals, as well as executive-level benefits for most entity types, including tax-exempt organizations. Wealth transfer tactics can help minimize the impact of taxes and expenses while maximizing distributions to heirs, third parties or charities. Even when the overriding motivation is not anticipation of significant taxes or complex disposition of a business, care must be taken to protect business assets from future creditors, and sometimes, ill-willed family members. Working with private and closely-held businesses requires careful coordination with designated legal and tax professionals to put in place strategic ownership structures to minimize complications and expenses at the succession of the business. Coordinated estate planning is also necessary for larger businesses when high-earning executives are participants in employee stock ownership plans (ESOPs) or possess compensation plans that require careful planning should a premature death occur. Preservation techniques involve both estate and business planning. Numerous effective solutions are available to help you successfully transfer your clients’ wealth. Leaving equal shares of a family business may cause conflict when some members do not want to participate in the business. Leaving the business entirely to the participating member may also cause conflict if the division is viewed as unfair. Splitting the business equally does not recognize the participating member for her contributions toward the business. The participating member may not be able to afford to buy out the other’s shares. Liquidating business assets or selling off shares could impact the future success of the business, or drive the business into the ground. Through the purchase of a life insurance policy, with ownership dependent on overall goals and objectives, a more equitable distribution of inheritances can be accomplished. Trust Solutions – To remove ownership and control of an asset from an estate, an irrevocable trust is often deployed. Life insurance ownership by this type of trust (ILIT) together with careful consideration of gift maximization strategies are commonly used by high net-worth business owners. Gifting Strategies – The Taxpayer Relieve Act of 2012 (ATRA) allowed for increased lifetime gifting exemptions, however when the business owner’s worth reaches higher levels, ILIT funding strategies that minimize gift amounts are paramount. These might include the use of private split-dollar with varied roll-out strategies, an interest-only installment sale to the ILIT, or premium financing, among others. Private Split Dollar – This is an agreement between two parties, typically the business owner and an ILIT, whereby gifting is kept to a minimum by using annual exclusion gifts under an “economic benefit, collateral assignment” limited-pay split dollar formula. Careful planning of a roll-out strategy is important. Disability Income Insurance – A policy that provides a monthly benefit to help pay everyday living expenses, as a replacement to lost income. Disability Retirement Protection – A benefit toward continued retirement savings is paid to an irrevocable trust which then invests the trust assets. Overhead Expense – Covers monthly business expenses such as mortgage or lease payments, salaries, utilities, malpractice insurance and more. 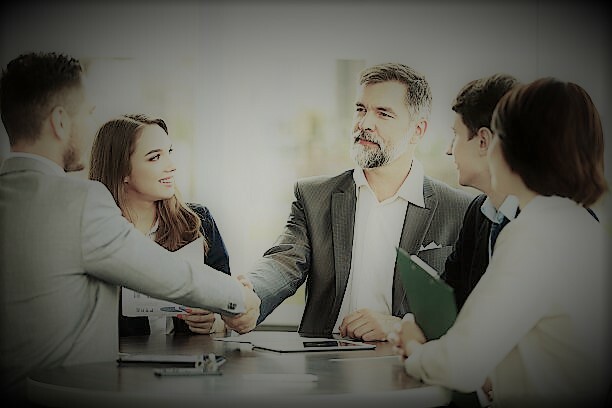 Key Person Replacement – Protects a business in the event a key person, such as a top sales person or executive, becomes totally disabled, with benefits used at the discretion of the business owner. Business Loan Protection – Generally made part of the Overhead Expense Policy, this benefit pays out an additional monthly amount for eligible business-related loan payments. Disability Buy-Out – This policy is used to fund a buy-sell agreement, covering the owners and giving them the capital to buy out a totally disabled business owner. Survivor income includes individual life insurance for business owners to protect their family’s future by using business resources to meet survivor needs. These solutions are often used to cover specific expenses such as paying for college, paying off the mortgage, funding the retirement of a non-working spouse, etc. Businesses with 500 or fewer employees (“small businesses”) represent over 99 percent of all employer firms and account for almost 65% of the net new U.S. jobs since 1992, half of which are in the private sector. It should be no surprise that the top concerns small business employers face are centered on their workforce. And when the small business owner does not have employees, such as may be the case in a family business, statistics are stacked against them for a smooth transition of their business to the second or third generations. While owner employers do a decent job of focusing on certain basic employee health and wellness solutions and retirement plans, they fall severely short in implementing funded BUY-SELL or KEY PERSON plans to protect their own businesses. Additionally, many successful business owners understand that their attention must shift to the lifeblood of their companies (top executives or sales personnel), through selective offerings to RECRUIT, REWARD and RETAIN these key employees. Very often the business is the owner’s most valued asset. Whether a business with a significant employee base or a closely-held company, generational or not, established business owners are seeking well-crafted EXIT plans that will efficiently and effectively help them enter retirement and pass on their businesses. A Business Owner Market Study – A Disconnect Between Priorities and Action, Principal & Harris Interactive, June 2015.
Business Solutions Overview, https://advisors.principal.com/wps/portal/advisor/products/business-solutions/overview, Principal Financial Services, Inc., 2017. Estate Equalization – Distributing Your Family Business Equally, Mutual of Omaha, September 2015. Small Business Planning – Put the Power of Small Businesses to Work for You, Nationwide, July 2012. 2016 – Trends in Nonqualified Deferred Compensation, Principal, April 2017. What’s New with Small Business, U.S. Small Business Administration Office of Advocacy, https://www.sba.gov/sites/default/files/Whats_New_With_Small_Business.pdf, 2013.